Barbie Princess Charm School is for the lovely princess within every little girl. 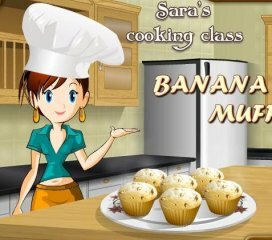 Featuring fun Barbie games and activities for kids, our website is interactive and entertaining. Just like Blair Willows in the latest installment of the Barbie movies, Barbie: Princess Charm School, you can learn how to be a perfectly poised princess with our Princess Poise game. Find out what etiquette school is all about and sign up to attend online Charm School, where you will gain access to exciting games, earn royal badges, decorate your locker and be crowned an exquisite Barbie princess. 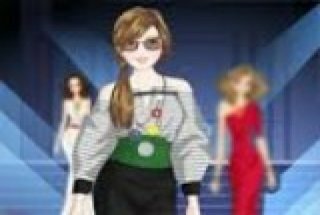 The Princess Poise Barbie game teaches you how to walk like true royalty. Blair Willows, the star of Barbie: Princess Charm School movie, must learn how to be a princess. Help her balance books on her head so she can walk with dignity and poise; prevent her from tipping them over by using the arrows on your computer. Once all four levels are complete, you receive a royal badge. Other princess games for girls include Princess Tea Party, Royal Dance and Designer Uniform. 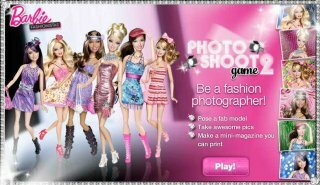 Master the skills to transform you from an ordinary girl to a noble Barbie princess. Good manners, graceful dance moves and a sense of style are a few of the many ways you can become fit for royalty. What's more, Barbie Princess Charm School website offers videos to further teach you how to be the best princess you can be. Whether you play dress-up with your Barbie doll or give yourself a glam-tastic makeover, the Barbie Princess Charm School website will teach you how to become a well-rounded princess. Prepare for your happily-ever-after by improving your balance and poise.